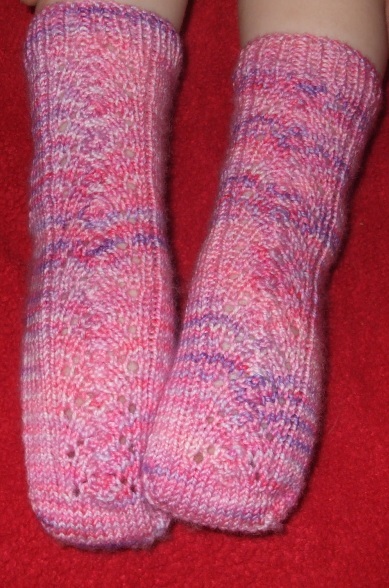 The gorgeous sock shown above was knit by one of my testers, for her daughter – she dyed the yarn up herself too. Gorgeous! She took amazing photos and allowed me to use them in the pattern. 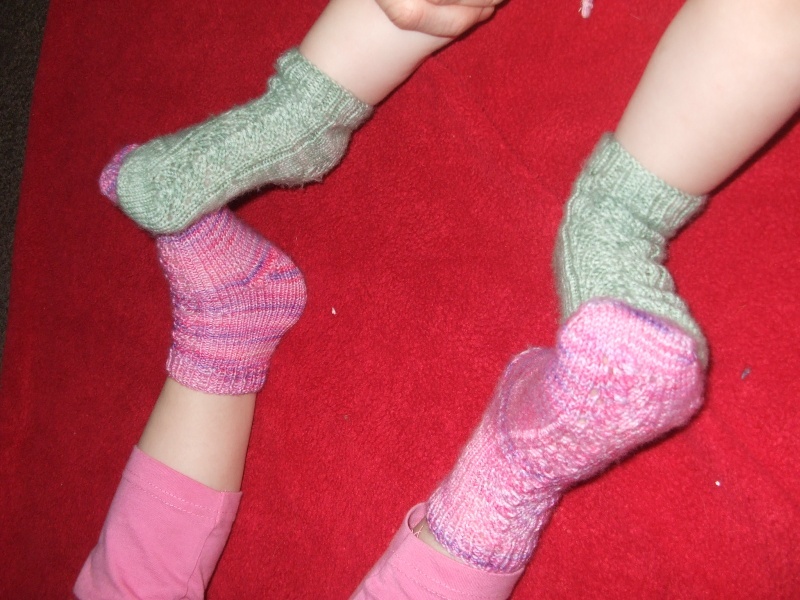 Despite my knitting three pairs of these for my girls, my photos are nowhere near as successful. For some reason photography sessions of their feet tend to turn into giant squiggling sessions. 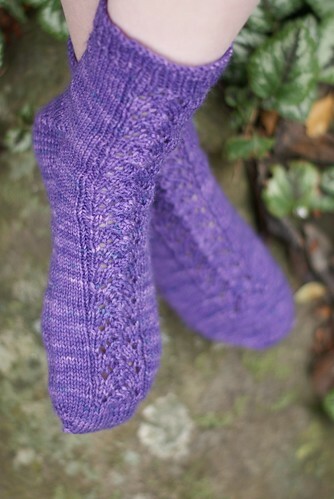 I did manage a few shots of Miss 2 wearing her gorgeous Knitsch socks. This is the pretty colourway “Sunrise on Snow”, which Miss 4 looked at and said “I like that. You can knit me something with that.” Luckily these are an economical knit, using just 30g for a calf length pair in size 1. I bought two 50g skeins, so there is plenty for a pair (or two) for Miss 4. I also knit Miss 2 a pair in green Vintage Purls sock yarn, in the colourway Daphne. I designed these socks to be both comfortable with an awesome fit, as well as easy to knit. They are knit from the toe up, and feature an easily memorised lace pattern. The heel is a gusset heel, which is super simple, no heel flap and mimimal counting. So, look out for the pattern on Ravelry, and check back here tomorrow for a competition announcement.